At Brandenberry Amish Furniture, we are proud of our Amish heritage. We are a family-owned-and-operated business with roots in Shipshewana, Indiana that go back generations. Our furniture tends to reflect our appreciation of tradition and timeless beauty. However, with the Greenwich Bedroom Collection, our love of modern and contemporary furniture is on full display. Featuring Brown Maple construction, dovetailed drawer boxes, reinforced joints, full-extension ball-bearing drawer slides and a rich finish, the timelessly-beautiful Greenwich Bedroom Collection will become a treasured furniture collection for generations to come. 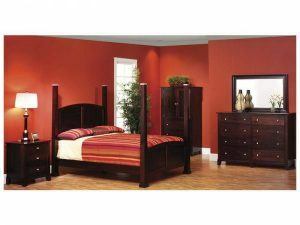 Above all, to view Bedroom Sets from Brandenberry, visit Brandenberry Furniture’s website. Furthermore stop in at the Brandenberry Amish Furniture store in Shipshewana, Indiana.